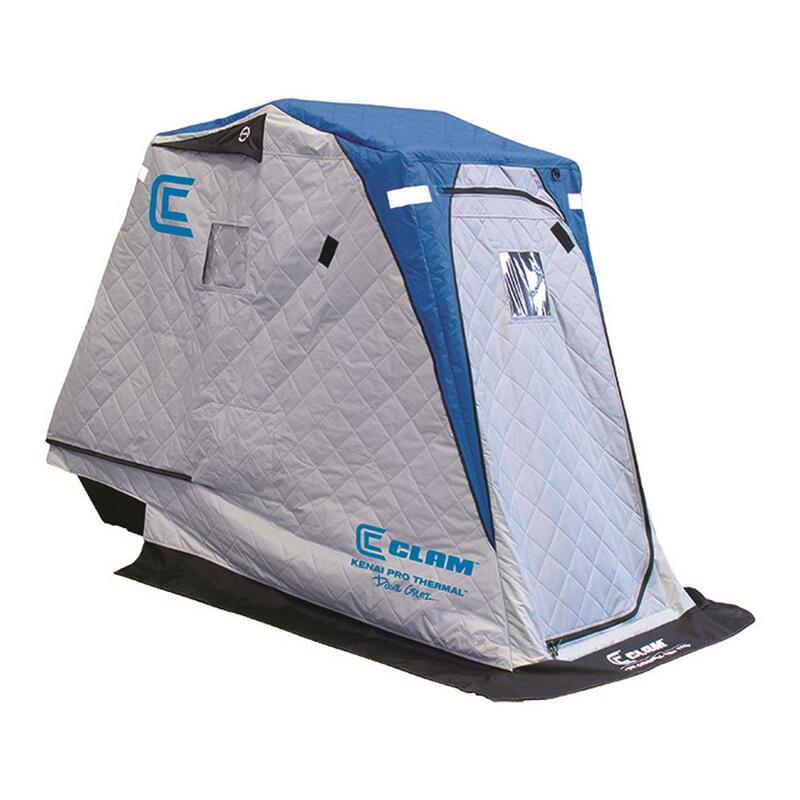 Whipping winds, pelting sleet and knee-high snow are no match for this Clam® Kenai Insulated Ice Shelter. 900-denier fabric locks it all out, while also retaining heat and reducing condensation. A host of built-in conveniences lighten your load, like the adjustable folding seat and deep tub that holds more of your gear. The perfect size. The perfect convenience. For the ice angler who likes to punch copious holes, and fill them with jigs that dance with optimism. 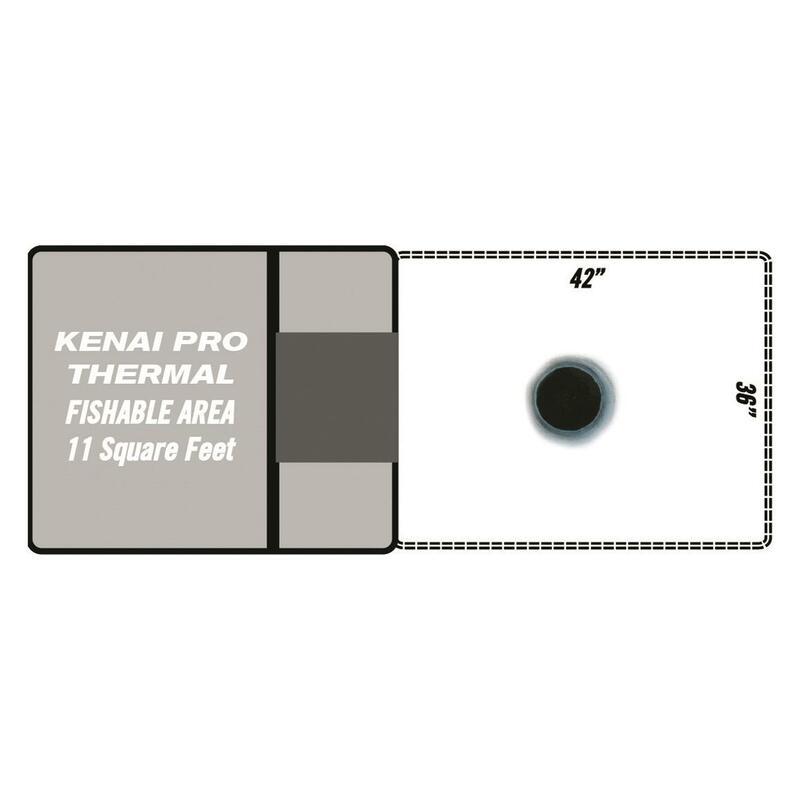 Fishable Area: 11 sq. ft. Setup Size: 91"l. x 37"w.
Collapsed Size: 48"l. x 37"w. x 25"h.